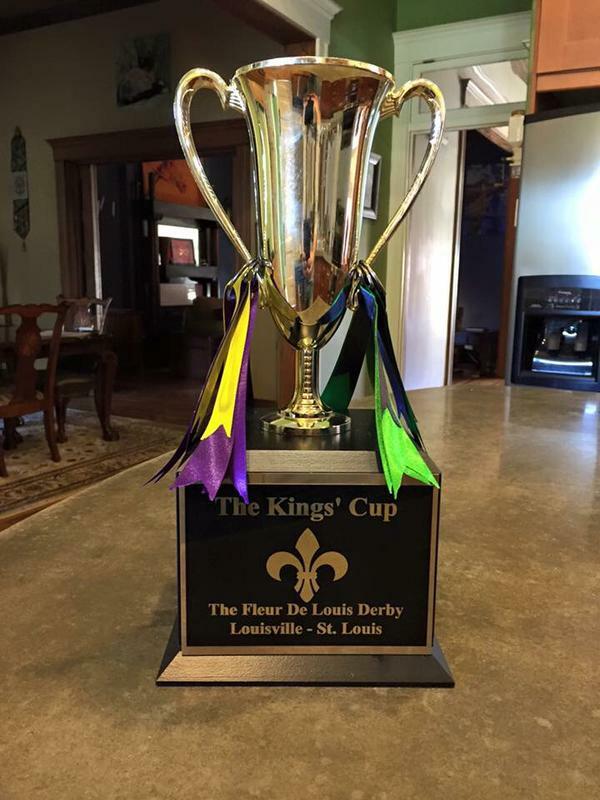 For those of you that don’t know, the Kings’ Cup is our annual rivalry with Louisville fans the Cooper’s. 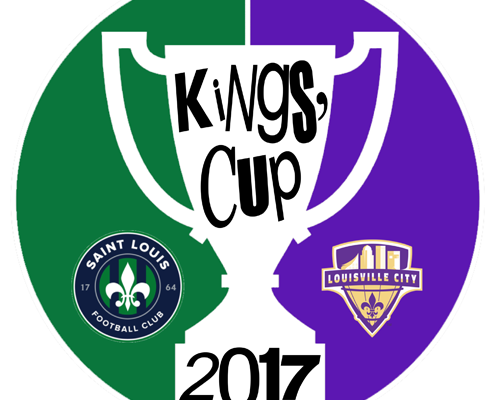 Starting in 2015 (the inaugural year for both Saint Louis FC & Louisville City FC) the Louligans and Cooper’s had a bit of banter on Twitter. We decided we’d create a rivalry out of whole cloth. While some chided us for making it up, we’ve had a good bit of fun taking shots at one another. But we’ve also developed a pretty good relationship with most of them (and all the other Louisville cosplay core). 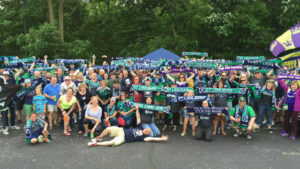 In addition to rooting for our teams we’ve also raised a good bit of money for the St. Louis Area Foodbank with our #PizzaGate fundraisers on our home matches against LCFC. We’ll be doing #PizzaGate3 this season and we plan on bringing in another good collection for the hungry people of St. Louis. Years 1 & 2 saw the Cooper’s raise the plastic cup they call a trophy. This year we’re in our best position yet to win the Cup. Game 1 in Louisville was a 0-0 draw. Yes, we’ve had some trouble finding wins lately, but Saturday’s win against Charleston has given us all a bit of hope again. Afterall, it’s back on. All we need to do is take care of business and win our game at home and it’s ours. The fact that we have essentially brought in an entire new team means we have to really let the boys know how important this game is to us fans. We’ve put ourselves in a position where most of the rest of our games need to be wins, so essentially this game is just another we have to win. BUT for Louligans, beating Louisville would be just a little sweeter. 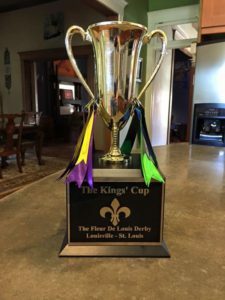 Do us a favor and use the hashtag #KingsCup17 this week and tag the team and your favorite players on social media this week so they know how important this one is to us. 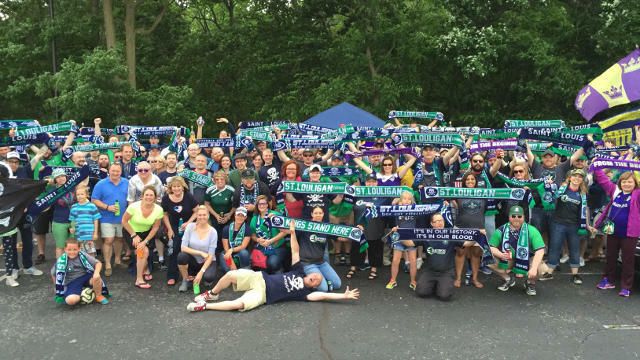 On Saturday we’ll have an epic tailgate with many traveling LCFC fans before the game. We’ll have special Merch deals that will help us raise money for #PizzaGate3. And we’ll have a damn good time. It’s our time to lift the cup, and we want you all there. Don’t wait, call Darien today if you don’t already have tickets. The corner will sell out quick and the rest of the stadium won’t last until Saturday. Let’s do this. Time for Our Special Guest….FRED!!! !